“Today is the day that I will finally eat at Rumi’s Kitchen”, I decided as I left the office, two hours before a meeting in Kennesaw, intending to eat on the top end. I pulled up the address for Rumi’s on the list in my phone (“How old is this list? Why would that matter?”), and turned north, off 285, onto Roswell Road. “Your destination is approaching on the left.” I don’t see it, so I circle back at the next intersection, pull into the address and find myself parked in front of the Sea Bass Kitchen. What? I double check the address – the same one is on the sign out front that is on my list. Dang! 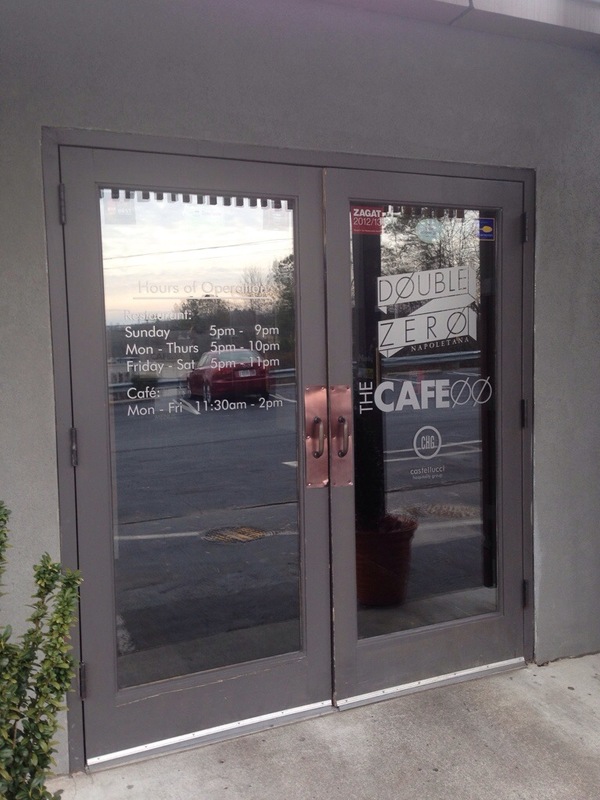 Disheartened, I head back south on Roswell Road, looking for something else, remembering that I had passed Double Zero Napoletana. I’ve heard good things about them, so I pull into their parking lot, which is fairly full, and head to the door. As I approach, I se that their lunch service is at The Cafe at 00. 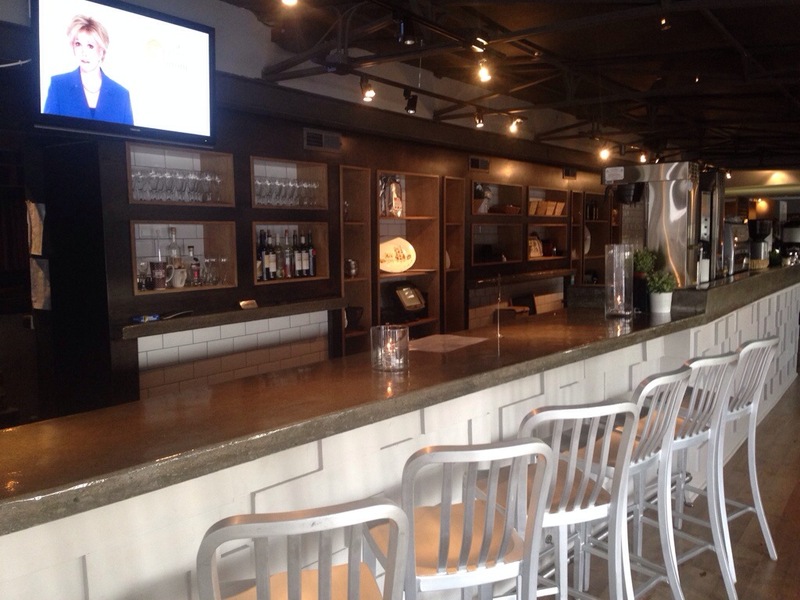 The lunch menu is limited (pizzas, paninis, a few salads and a grain bowl <?>) and the Cafe appears to be the bar on the south side of the restaurant itself, using the main kitchen for food prep. On a side note, while I was waiting for my pizza, I googled Rumi’s Kitchen and found that the street number in my phone was wrong – I don’t know if they moved, or if I’ve had the wrong number all along, but I’ve updated it for a future visit. they’re talking, loudly, across the tables. Wow! 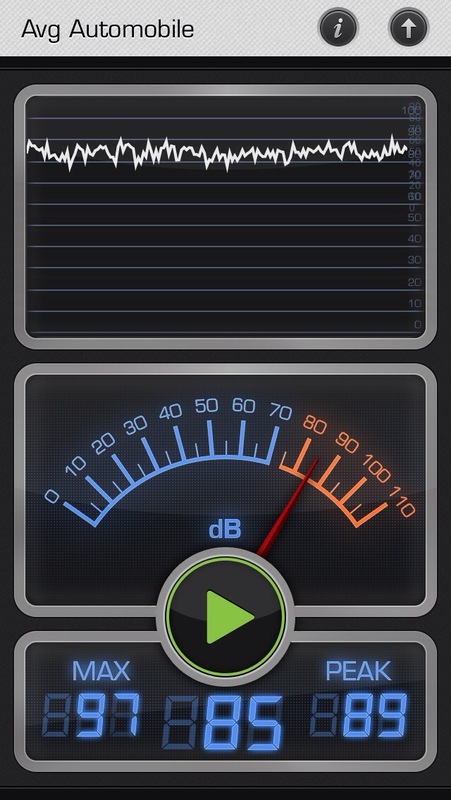 That’s about 15 decibels louder than the ambient noise level in every other restaurant I’ve been in since (as I now compulsively measure). Luckily, they were finishing up and were almost all gone by the time the food arrived. The pizza arrived, interestingly with a pair of scissors under the edge. That’s brilliant! It’s difficult to cut a pizza with a pizza slice, or a knife, but the scissors made it simple. Sadly, the scissors were the highlight. 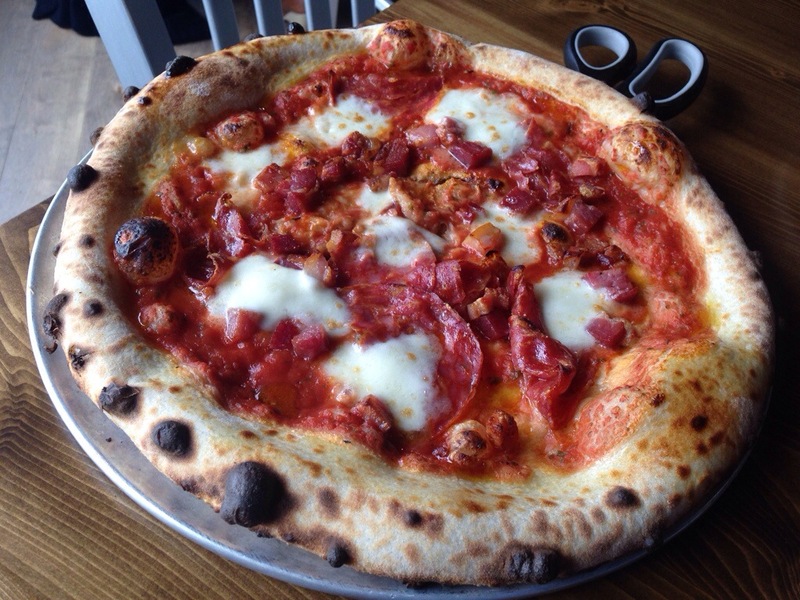 The pancetta was okay, the sausage wasn’t that good, I didn’t care for the sauce and the dough tasted burned. Other than that, it was okay <g>. The reviews for the cafe on Urbanspoon are non-existent, but the reviews and comments on the restaurant itself seemed mixed. My lunch may not have been an isolated experience and I won’t be back for lunch. Maybe for dinner. But I’ve got to get to Rumi’s Kitchen first.